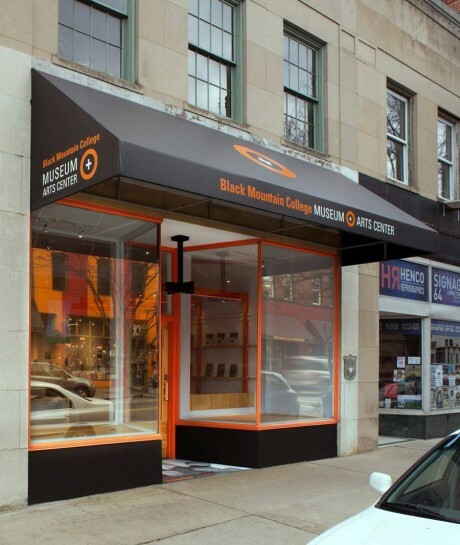 Black Mountain College Museum + Arts Center - Bow Bridge Communications, LLC. The Black Mountain College Museum + Arts Center (BMCM+AC) was founded in 1993, in Asheville, NC, to preserve and pay tribute to the history and legacy of innovation of Black Mountain College (1933‒57) and to acknowledge the College’s role as a forerunner in progressive, interdisciplinary education with a focus on the arts. The College drew a roster of influential faculty and gifted students including Josef and Anni Albers, John Cage, Robert Creeley, Merce Cunningham, Willem and Elaine de Kooning, Buckminster Fuller, Francine du Plessix Gray, Franz Kline, Jacob Lawrence, Charles Olson, Arthur Penn, Robert Rauschenberg, Dorothea Rockburne, Ben Shahn, Cy Twombly, among many significant others. BMCM+AC’s programming includes exhibitions, seminars, panel discussions, publications, screenings, and a study center. Bow Bridge was engaged to promote BMCM+AC’s expansion in downtown Asheville; highlight its special exhibitions and programming; and heighten awareness of Black Mountain College’s enduring influence and Asheville’s vibrant arts scene. Articles have appeared in a number of outlets including the coveted The New York Times Museums section in March 2015. © 2019 Bow Bridge Communications, LLC. All Rights Reserved.